Nova Scotia once possessed extensive and rich coal seams in its northern section and on Cape Breton Island. This provided the opportunity to develop manufacturing industries that depended on coal for fuel (using steam power) or coal as an ingredient (iron and steel). Being almost entirely surrounded by water and having substantial forests also encouraged shipbuilding. Although Nova Scotia never achieved the potential these raw materials promised, industrialization was a major force shaping immigration, settlement, the economy, and the life experience of many of its inhabitants. A provincial museum dedicated to this heritage increases our understanding of Nova Scotia’s past, and how these developments influence its present and future. The Pictou County area of northeastern Nova Scotia has a significant industrial past. It includes mining of some of the richest coal deposits in the world, establishing the steel industry in Canada, an impressive history of wooden and later steel shipbuilding, and an array of manufacturing enterprises associated with steel, ships, and railroads. 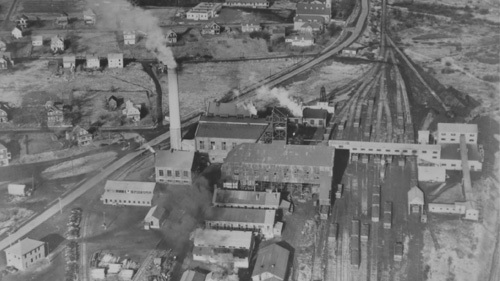 In the 1970s some Pictou County businessmen noticed that the machinery and effects of these industrial activities and the railway were disappearing. 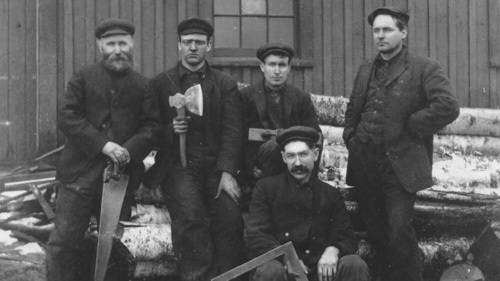 They approached the Board of Governors of the Nova Scotia Museum to request a museum be built dedicated to Nova Scotia’s industrial and transportation heritage. Studies were undertaken supporting the creation of this museum, land was donated in Pictou County (Stellarton) adjacent to the Trans-Canada Highway, and artifacts (including four locomotives) were offered. The Board of Governors and the Province of Nova Scotia decided to proceed with the creation of the museum.